EDMONTON — The last legal restrictions on Omar Khadr were lifted Monday when an Alberta judge ruled that a war crimes sentence for the former Guantanamo Bay prisoner has expired. “I’m really happy with the decision today,” Khadr said outside Edmonton’s courthouse. 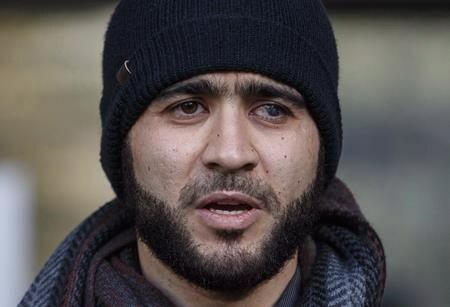 The ruling means Khadr can apply for a passport as well as travel and visit freely. Khadr was sentenced to eight years in 2010 by a American military court for alleged acts committed in Afghanistan when he was 15 years old. That sentence — which the Supreme Court of Canada ruled would be a youth sentence — would have ended last October had Khadr remained in custody. But the clock stopped ticking when a judge freed him on bail in 2015 pending Khadr’s appeal of his military conviction in the United States. Court of Queen’s Bench Chief Justice Mary Moreau ruled that the youth crimes legislation allowed her to consider time he spent on bail as part of his sentence. “The bail order must be considered in context,” she said. Faint sobs from Khadr’s supporters could be heard in court after Moreau’s judgment. Khadr has appealed the U.S. sentence. His lawyers say the military commission that issued it has been widely discredited. Whitling had argued that the appeal hasn’t moved forward at all and it would be unfair to hold that against his client. Lawyers for the Crown wanted Khadr to serve some time on conditional release in the community. Khadr is also the defendant in a civil lawsuit by the family of the soldier he is alleged to have killed. A U.S. court has already ruled in favour of the family, who are trying to have the $134-million judgment served against Khadr in Canada. Khadr spent years in U.S. detention at Guantanamo Bay after he was captured and accused of tossing a grenade that killed special forces soldier Christopher Speer at a militant compound in Afghanistan in 2001. Since he was released on bail, Khadr has lived in Edmonton and Red Deer, Alta., without incident. The court had eased some of his initial bail conditions, but several had remained. Moreau’s ruling on Monday lifts them. Khadr could not have access to a Canadian passport and was banned from unsupervised communication with his sister, who lives in the former Soviet republic of Georgia. He also had to notify his bail supervisor before leaving Alberta. Khadr’s case has ignited divisive debate among Canadians over terrorism, human rights and the rule of law since it was revealed in 2017 that the federal government settled a lawsuit filed by him for a reported $10.5 million. The payout followed a 2010 ruling by Canada’s Supreme Court that Khadr’s charter rights were violated at Guantanamo and that Canadian officials contributed to that violation. 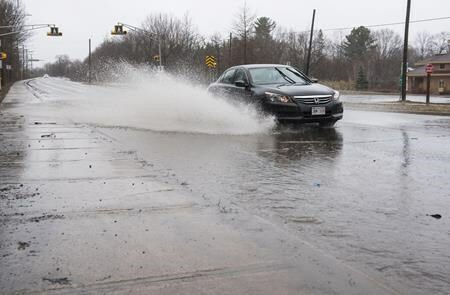 FREDERICTON — Rising floodwaters have forced the closure of at least 25 roads in western New Brunswick, where the premier is urging residents to do what they can to protect their families and property. Premier Blaine Higgs issued a brief statement saying New Brunswickers are facing severe flooding in several communities. The province’s Public Safety Department says the Saint John River Basin is now beyond or nearly at flood stage in Clair, Saint-Hilaire and Edmundston in the north, and in Fredericton, Maugerville, Jemseg and Sheffield-Lakeville Corner in the south. The department says residents in other communities along the river should remain on high alert in the coming days as water levels are still rising. Heavy rain and a rapid snowmelt are being blamed for the flooding, which isn’t unusual at this time of year. About 120 soldiers from Canadian Forces Base Gagetown in southern New Brunswick were expected to help residents fill sandbags and, if necessary, evacuate their homes.